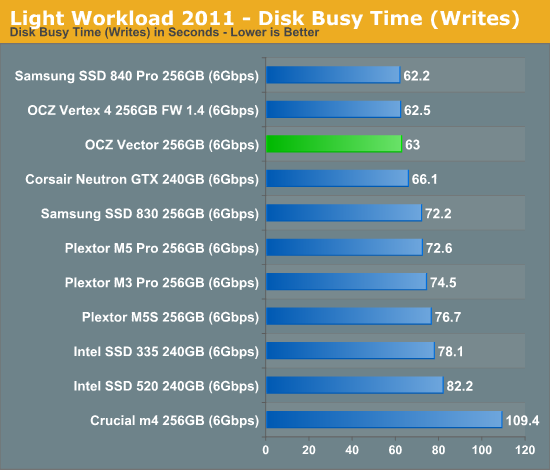 Our new light workload actually has more write operations than read operations. 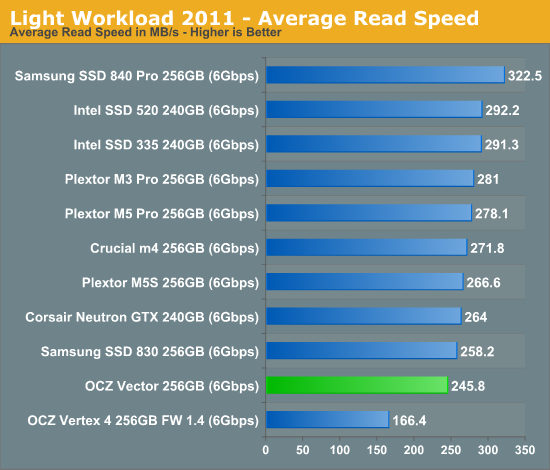 The split is as follows: 372,630 reads and 459,709 writes. 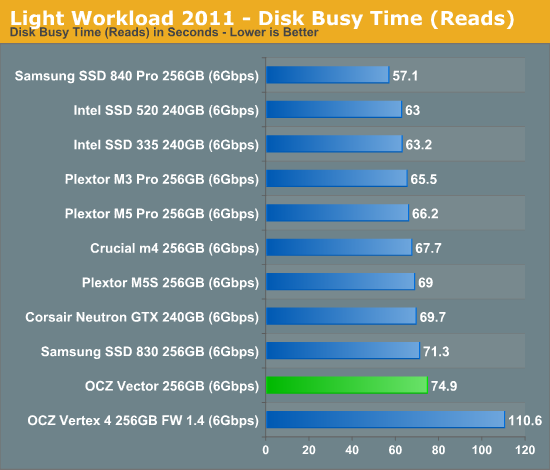 The relatively close read/write ratio does better mimic a typical light workload (although even lighter workloads would be far more read centric). 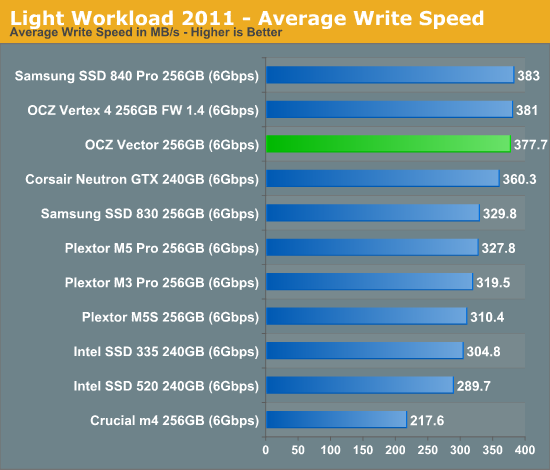 Our light workload remains Samsung's safe haven with the 840 Pro. 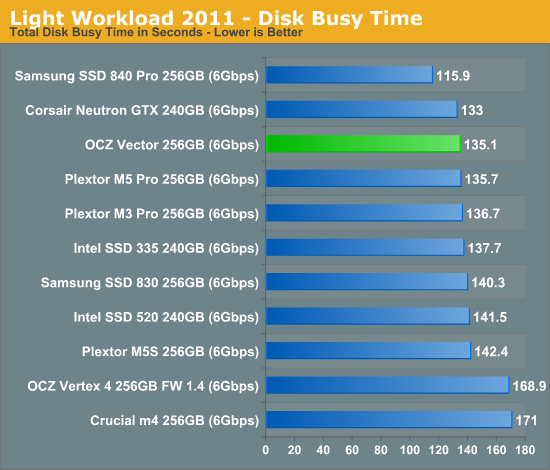 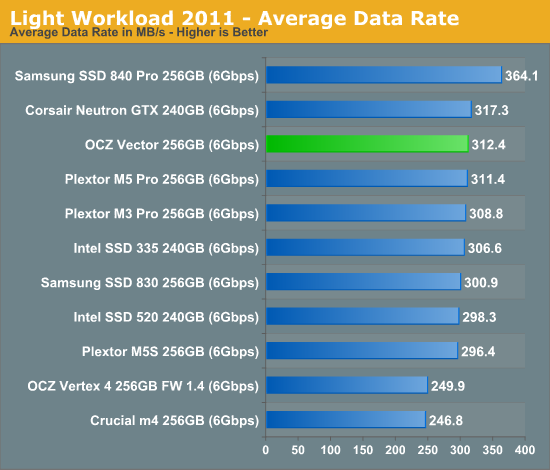 OCZ's Vector does improve performance considerably over the Vertex 4 (+25%) but Samsung manages a 16% performance advantage here with the 840 Pro.